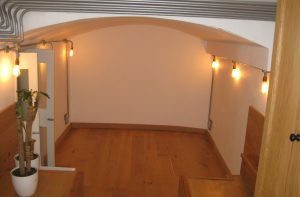 Home » OXFORDSHIRE BASEMENT CONVERSION SURVEYS. If you live anywhere in Oxfordshire and are fortunate enough to have an existing basement, cellar or even a vault under your feet, it makes sense to utilise it into wonderful, valuable new living space for you and your family. With the cost of property prices forever rising and the cost of moving becoming more and more expensive, many people are using the space they already have, while at the same time considerably increasing the value of their property. Even a smaller area like an under pavement vault can be made into a lovely new office, bedroom or utility room as Tapco HomeDry have shown many times in the past. Nowadays Basement Conversions are becoming more and more popular, simply because the space already exists and in comparison to loft conversions or extensions, they are economical, quick to install and don’t ruin the character of your property but remember Damp Proofing is the most important part so call us for a survey. Tapco HomeDry are ideally based on the outskirts of London, in Esher and Thames Ditton, Surrey and have carried out many Basement Conversions throughout London and the Home Counties. We have been established since 1971 and are recognised as one of London and the Home Counties most established and reputable Basement Damp Proofing, Water Damage and Dry Rot Restoration companies. We are long term members of the Property Care Association (PCA), Trust Mark (Government Endorsed Standards) and the Basement Waterproofing Association (BWA). We are also an accredited Which? Trusted Trader. We are also a Delta Membrane approved contractor and choose to use their products when installing a Cavity Drain Membrane system (CDM). 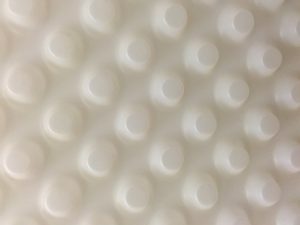 This is a high density Polyethylene studded membrane, which is installed to the walls and the floor to control moisture. Prior to doing this a drainage channel and sump chamber are installed, to discharge water to a place designated by us. The wall membrane is fitted to the walls using special waterproof fixings and strong sealing tape. 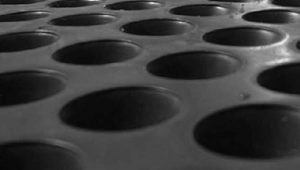 The larger studded floor membrane is then loose laid over the floor, which is the screeded or covered by a treated chipboard floor. The floor/wall joint is carefully sealed prior to either dry-lining the walls of plastering directly onto the membrane. Once the pump has been installed, the room is ready to be decorated and enjoyed. Alternatively Tapco HomeDry carry out Structural Waterproofing (Tanking). Unlike the Cavity Drain Membrane System, Tanking seals the wall, blocking the damp from penetrating through to the internal surfaces. 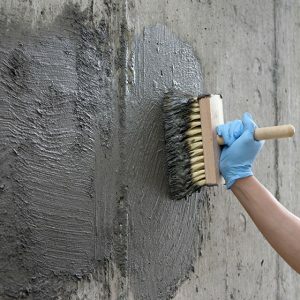 Once the wall is prepared, we apply slurry coats of a cementitious waterproofing solution, prior to plastering in accordance with our Damp Proofing specification. Transform your unused damp room into your favorite room. All of our damp proofing is covered by our long term guarantee which can be protected by Guarantee Protection Insurance (GPI) so call one of our friendly staff now to arrange an inspection by one of our Property Care Association qualified, damp and timber surveyors. Do it Once, Do it Right, call Tapco HomeDry.